Wheat and gluten free dog food retailers, Heights Farm Premium Pet Foods announce the launch of a new dog food. The new hypoallergenic product was created after customer feedback and extensive research. Glucosamine and Green Lipped Mussel are both proven to help with joints and muscles and just like with humans they really help dogs too. Stephen Ward, principal of Heights Farm Premium Pet Foods established the Bolton based gluten free dog food suppliers in May 2009. Based in Stephen’s home town of Bolton, Lancashire, Heights Farm sell a select range of premium wheat free dog foods to over five hundred local customers. 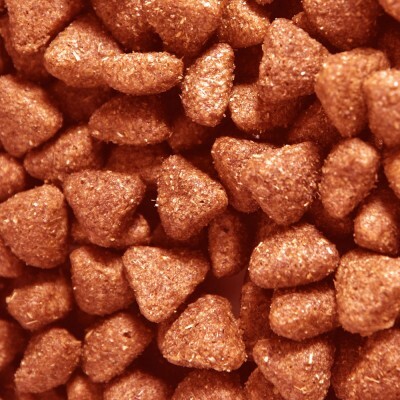 Heights also trade on a national basis, selling a range of hypoallergenic dog foods via their website. 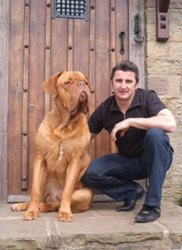 Specialising in foods for dogs with allergies; Stephen started the pet food business after his French Mastiff became ill.
“Milo (my dog) wouldn’t settle at night and was often pacing up and down. He was constantly scratching himself and chewing at his paws,” explained Stephen. “I took him to my local vet and they recommended a new pet food for large breed puppies” he added. “I tried him on the new food and if anything he became worse. I decided to do some research of my own and looked up his symptoms on the internet. After reading many articles I came to the conclusion that Milo was probably allergic to wheat,” said Stephen. Mr. Ward added, "I searched for an allergy free dog food and found what I was looing for. I fed him twice a day and his condition improved after just one week”. Stephen’s experience inspired him to start his own business selling hypoallergenic pet food. After successfully searching for suppliers of the best hypoallergenic dog food he founded Heights Farm. The Bolton based pet food company is now one of the UK’s premier retailers of gluten free dog foods. “I’m really pleased with how the business is growing and part of our strategy is to ask our customers what they (and most importantly what their dog) thought of the food. Many of our customers really like the Salmon and Potato range we sell but have been asking for a version which contains joint aid,” explained Stephen. “We’ve been working and testing a new recipe for the last few months and have finally arrived at something we are really pleased with. I’ve been giving free taster samples to some of our regulars and the new recipe has proved very popular. We will be launching Heights Farm Salmon and Potato Extra Care on the 1st of March this year,” announced Stephen. 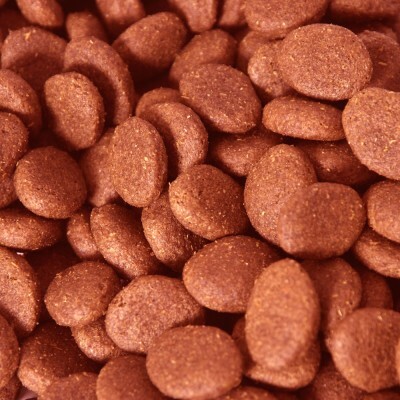 “The new food contains natural antioxidants and nutritional additives vitamins A, D and E. Salmon and potato still make up the bulk of the ingredients with the addition of Glucosamine, Green Lipped Mussel extract and Rosemary,” advised Mr. Ward. “Glucosamine and Green Lipped Mussel are both proven to help with joints and muscles and just like with humans they really help dogs too,” said Stephen. “Free samples will soon be made available (a fee of £1.99 is charged which is refunded off your first order). This makes it easier for our customers to test the food without buying a large bag. The new food is only £1 more expensive than our standard Salmon and Potato and retails at £37 for a 15kg sack,” said Stephen. “Dependent on the success of this new recipe we are considering adding to our existing range and at the moment we are trialling more recipes which contain the new ingredients and joint aids,” ended Stephen.